The Fortify construction project is part of a 10-year plan to strengthen North Carolina’s roadways and alleviate traffic congestion in the Triangle. The southern portion of I-40/I-440 is 30 years old and needs repair. 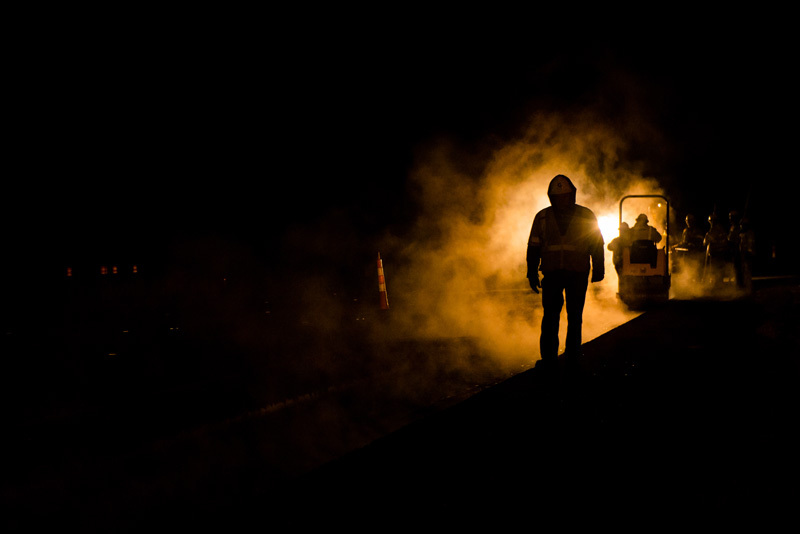 This photo, taken on a bitterly cold February night, depicts the dedicated workers on that project. And that means more opportunities to get out and take some awesome photos. When you finally get all your gear together (or not: remember we’re taking social media entries as well! ), keep an eye out for people using, building, and/or enjoying this country’s transportation infrastructure. ← Photo Entries for 2018 Contest Now Accepted Via Social Media!